31 Norwegian DSOs joined forces and are implementing their AMM solution together, under management and guidance of Nettalliansen, a cooperation alliance owned by the DSOs. 2.9 million smart meters will be connected to the Norwegian electricity grid by the end of this year. The introduction of smart meters is part of government-imposed digitalisation and modernisation of the Norwegian power grid for a more efficient grid operation. At the same time it will enable new services for consumers and a more accurate and regular meter reading. Procuring a smart metering system is not just about comparison and choice of the suitable hardware and technology. AMM deployment is an IT project which has dependencies to the DSO’s processes and the respective IT solutions. Managing such a project with a rather tight schedule sets demands for many types of competences for DSOs. 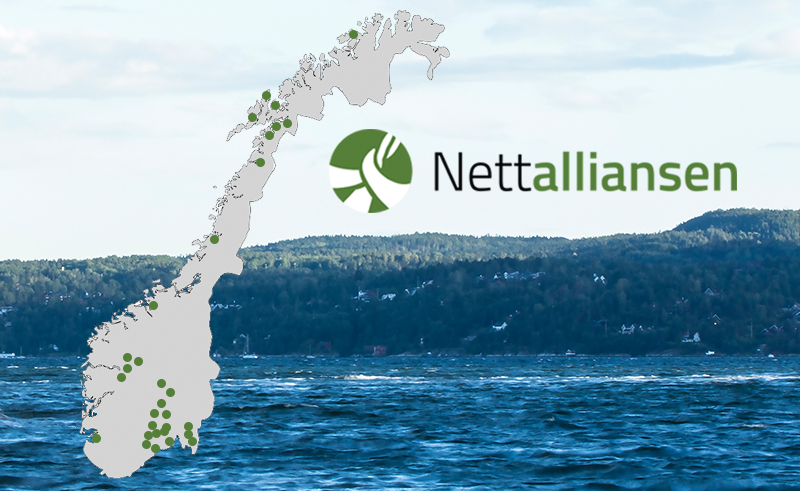 Competence sharing and synergy benefits were the main reason for 31 Norwegian DSOs to outsource the procurement and roll-out project management package to Nettalliansen, a competence and procurement cooperation alliance owned by 46 small and medium-sized DSOs. The tender of the 31 DSOs consisted of 185 000 metering points, and the basis for the procurement was the SINTEF specification for smart meter functionality. On top of that, it was clear that the DSOs wanted to make a contract for a turn-key solution with service provisioning. In July 2015 Nettalliansen awarded the AMM contract to Embriq. The scope of the contract was a turn-key solution including the related communication and IT system as well as integration of the solution to DSOs’ information systems such as NIS and CIS. The supplier has responsibility for the quality assurance of the metering values and for the delivery of the values to the national datahub. 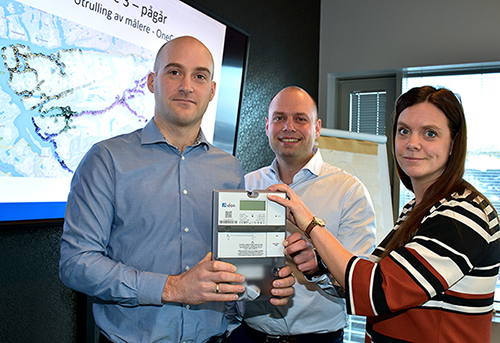 The DSOs, located in ten counties throughout Norway, use one central reading system for collecting the metering data. This system, as well as the smart meters and the RF-based communication solution which together form the Aidon part of the solution, is integrated with Embriq’s central operating platform Quant. OneCo is the partner for booking and installations. How to organise a project with 31 owners located from south-east Norway to Hammerfest, the northernmost municipality of Norway, and varying in size from 1100 to 25 000 metering points? Each DSO has a dedicated project owner who works in cooperation with Nettalliansen’s project organization, lead by project manager Lars Eirik Olsen. Each of the 31 DSOs has its individual roll-out schedule. All companies follow a similar process created by Nettalliansen, to ensure a systematic process for all the companies. According to the process, the AMM project is divided into work packages with tasks that must be completed before taking the next step in the project. Examples of the work packages: “Decision substation monitoring” and “Review of the RF radio plan proposed by Aidon”. Nettalliansen’s project team controls the progress of each DSO’s project and is responsible for system testing to verify that everything works before deployment in the field. Nettalliansen also organizes meetings and trainings with the DSOs and the suppliers to ensure efficient information sharing and well-planned procedures. Securing timely and correct deliveries of meters with DSO-specific configurations and encryptions is a logistic challenge which requires careful planning. According to Lars Eirik Olsen, the Aidon customization and logistics center has organized the meter deliveries efficiently and successfully. In April 2018, when this article is published, the milestone of 150 000 installed meters was achieved. The first company started the roll-out in June 2016 and the last one will start it in April 2018. Svorka, a company operating in western part of central Norway, started the roll-out in mid of February. Their total amount of meters to be installed is 6700, in addition to which 570 distribution transformer stations will be equipped with master meters for the RF network. All meters will be installed by July after which they, like all DSOs will run a 3-month validation period before the final acceptance. There is still the last mile to go in the project before everything will be ready by the end of the year. Nettalliansen is on good track and confident of a successful completion of the project. – Right now the focus is on the roll-out, but when doing it, we are creating capabilities for new tools and services enabled by the metering data, and which will benefit both the DSOs and their customers. Let’s take earth fault detection as an example of the meters’ capability. When there’s an earth fault on the grid’s side of the customer’s electricity installation, it is the DSO’s responsibility to fix it. Being able to quickly locate and fix the fault, and avoiding potential additional damage will bring significant cost savings. – And there is more to be gained: load balancing, reaction on grid events, optimization of grid maintenance actions and prevention of problems will be possible by utilizing AMM data and analytics. The digital platform which we are building together with the DSOs will be a key element in a smarter grid, Olsen concludes.